Puma SE (PUM), Europe’s second-biggest sporting-goods maker, said Chief Executive Officer Franz Koch will depart two years into the job as the company shakes up its senior management to address declining earnings. Koch, who joined in 2007 and became CEO in 2011, will leave at the end of March by mutual consent, Herzogenaurach, Germany- based Puma said today. The exit of the 33-year-old follows that of Chairman Jochen Zeitz, which was announced in October. Puma is “entering a new phase in its development and is changing its top management structure to take on those challenges,” according to today’s statement. The maker of 90-euro ($117) Whirlwind sneakers in October named PPR (PP) SA Managing Director Jean-Francois Palus as chairman, choosing an executive from its majority investor to succeed Zeitz. PPR, which owns 82.4 percent of Puma, may ask for more restructuring measures and seek to raise its stake, Volker Bosse, an analyst at Baader Bank, said in a note to clients. 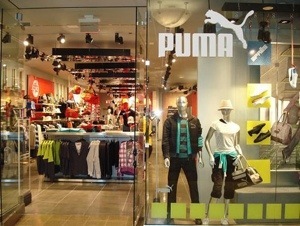 Puma fell 0.9 percent to 223.30 euros at 4:40 p.m. in Frankfurt trading. PPR eased 0.3 percent to 141.40 euros in Paris, where the company is based. Koch, who succeeded Zeitz as CEO, was previously Puma’s head of global strategy. He joined the company from Oliver Wyman, a management consulting firm. Puma has hired Andy Koehler, a former manager of Adidas AG (ADS), as chief operating officer, Manager Magazin reported today. Katja Schreiber, a spokeswoman for Adidas, confirmed Koehler has left the company. Kerstin Neuber, a spokeswoman for Puma, declined to comment on the report. Puma’s Oct. 23 appointment of Palus came a day before the company announced it expected earnings this year to be “significantly below” those of 2011 as consumers cut back on spending in the wake of Europe’s financial crisis. The sporting- goods maker plans more cost reductions to combat a weakening consumer climate in Europe and China, it said at the time. Analysts expect a 45 percent drop in net income this year, according to estimates compiled by Bloomberg. Tesco has announced that construction of a new 122,082sq ft warehouse in Erith has started. 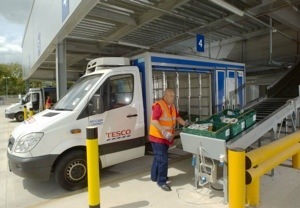 The new warehouse is due to open in October 2013 and will fulfil online grocery orders in the Greater London area, becoming the sixth Tesco dot.com warehouse in the UK. Tesco opened its first dot.com only warehouse in Croydon, South London, in 2006 and has since opened dot.com warehouses at Aylesford (Kent), Greenford (Middlesex) and most recently Enfield (Hertfordshire), with another due to open in Crawley early in 2013. Luxury shoe brand Jimmy Choo will open its flagship men’s store in Mayfair next spring. Jimmy Choo is following in the well-heeled footsteps of red-soled rival Christian Louboutin and opening a flagship men’s store on Mayfair’s Dover Street. The 1,200 sq ft store will spread across two floors housing a complete assortment of Jimmy Choo men’s accessories, and will replace the existing Jimmy Choo men’s store in nearby Burlington Arcade. “We are thrilled to be opening a new men’s standalone store in Mayfair, the spiritual home of the Jimmy Choo man. Dover Street is fast becoming a shopping destination for luxury fashion and cutting edge designers. The store is an exciting next step in the growth of Jimmy Choo Men” said Pierre Denis, CEO of Jimmy Choo. The shop, which will open in spring 2013, will sit shoulder to shoulder with Louboutin’s flagship men’s boutique, the flagship McQ boutique and also conceptual fashion store Dover Street Market. Wal-Mart, the world’s largest retail group, has been in protracted on-off talks to buy BC Partners’ 80pc stake in Migros for several months, according to City sources. As one of Turkey’s major supermarkets, a deal would hand Wal-Mart exposure to a fast growing emerging market with an increasingly wealthy consumer. Bankers from JP Morgan are advising the UK private equity firm on the potential deal while Barclays is working with Wal-Mart, which bought Asda in 1999 for £6.7bn. Although Wal-Mart has yet to submit a formal offer for Migros, sources claimed the US company is expected to make a non-binding offer imminently so that it can get access to the supermarket chain’s books. 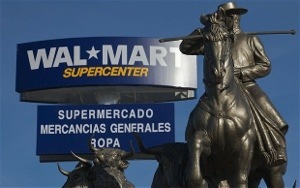 Wal-Mart is then expected to make an offer in the first quarter of next year. Speculation about a potentail takeover of Migros has been rife in recent months. Earlier this week a spokesman for Tesco’s Turkish division – Tesco Kipa – denied it was in talks to buy Migros . French retail giant Carrefour has also been tipped as a potential purchaser . The world’s second-largest retailer was reported in September to be considering a combination of its Turkish business with Migros . BC first bought a stake in Migros in 2008 in a deal that valued the equity in Turkey’s biggest supermarket group at $3.25bn (£2bn). The deal was Turkey’s biggest ever private equity takeover . BC teamed up with Turkven, a buy-out firm, and DeA Capital, the private equity arm of Italy’s De Agostini group, to buy a 51pc stake in Migros. The consortium later increased its holding in Migros to almost 100pc by buying out minority shareholders. Last year, BC sold almost 20pc of the company back to public market investors . Wal-Mart and BC declined to comment. 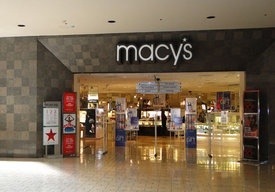 Cincinnati — Macy’s Inc. on Friday said that its board has increased its share repurchase authorization by $1.5 billion. 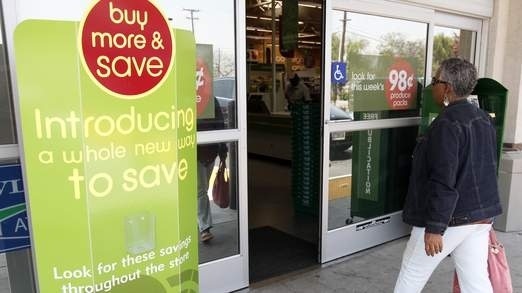 The retailer said the increase brings the total approved to buy back shares to $1.86 billion. Macy’s CEO Terry Lundgren said that the company is committed to using its excess cash to enhance shareholder value through buybacks and dividends and the decision reflects the strength of the company’s business. The retailer resumed its share repurchase programme in August last year and has bought back approximately 42.6 million shares since then. Macy’s has an estimated 395.5 million shares outstanding. 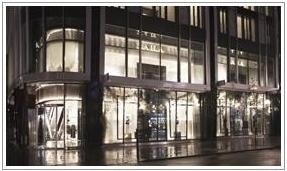 Zara, the Inditex Group’s fashion retailer, opens a flagship store featuring its revamped image at 460-490 Oxford Street in London’s city centre. The fourth Zara location on the British capital’s busiest shopping street has pride of place in the newly opened Park House building. What’s more, the new Oxford Street store is Inditex’s 6000th outlet. 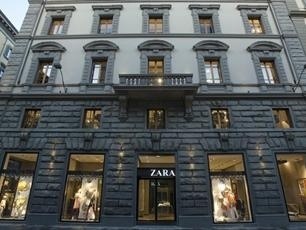 Zara chose to outfit this unique establishment in one of the world’s most coveted shopping areas with its new brand image, which it first unveiled in New York City in March. Zara Park House spans over a surface of 2,500 square metres spread over three floors, in which the company displays its fashion collections for women and men. Each of the three floors features a functional layout based on two long corridors or “catwalks”. These runways lead visitors to individual spaces or “cubes” on either side, in which Zara displays its different collections individually. The wood used in the store’s furniture and fittings is finished in textures reminiscent of fabrics such as linen and silk in neutral, elegant colours. The revamped store image is based on four guiding principles: beauty, clarity, functionality and sustainability. Simplicity is the byword throughout the store as part of Zara’s mission to bring customers into direct contact with fashion. In accordance with the Inditex Group’s environmental commitments outlined in its Sustainable Inditex 2011-2015 Plan, the new store is equipped with all of the sustainability elements mandated by Inditex’s eco-efficient store model. Additionally, it is LEED certified, a sustainable architecture endorsement regarded as the most demanding of its kind in the world. Some of the Group’s most renowned landmark stores, including Zara locations on Via del Corso (Rome), Korai (Athens), Portal de l’Ángel (Barcelona) and a Pull&Bear outlet on Madrid’s Gran Vía are also LEED certified. Highlights of the sustainability measures implemented at the Park House Zara include automated heating and cooling, intelligent lighting systems which dim the lights when the store is closed, the use of FSC-certified wood products and oxo-biodegradable plastic bags. The United Kingdom is one of the Inditex Group’s most important markets. The company first ventured into the UK in 1998, when Zara opened its first outlet on London’s Regent Street. Zara currently has locations at key spots on the London shopping map, including Oxford Street, King’s Road and Brompton Road, among others, in addition to its stores in the country’s major cities. Inditex has 94 establishments in the UK under its Zara, Pull&Bear, Massimo Dutti, Bershka and Zara Home brands, sited in prime shopping locations in more than 40 cities. Zimbabwe Stock Exchange-listed diversified entity Meikles Limited is this week set to unveil is its second state-of-the-art Pick ’n’ Pay supermarket bringing to two such branches in the country. 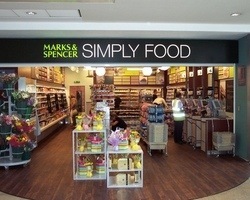 It will also open two new TM supermarkets branches in line with its expansion plans. The first Pick ’n’ Pay Supermarket was opened in June this year. Pick ’n’ Pay is one of Africa’s largest and successful retailers of food, general merchandise and clothing. 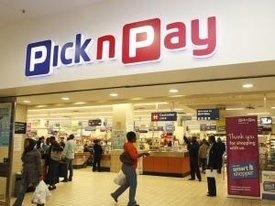 Meikles finance director Onias Makamba told NewsDay last Friday that Pick ’n’ Pay Kamfinsa had so far performed well. He said similarly, TM Borrowdale had recorded a good performance. “We will be opening Pick ’n’ Pay Westgate on Wednesday or Thursday at the place where there was TM Supermarket,” said Makamba. Last month, Justice minister Patrick Chinamasa discounted the economic benefits brought about by the retail giant’s investment in the country. Chinamasa said the participation of foreign-owned retail chains on the domestic market would not grow the economy on the back of a ballooning import bill. “There is no reason why we should applaud foreign direct investment into the retail sector or wholesale sector or fuel procurement sector and ginning of cotton to give just a few examples,” Chinamasa said. Qatar Investment Authority (QIA), the sovereign wealth fund that bought London’s Harrods department store in 2010 for US$2.22bn, has snapped up a second luxury property unit on Paris’s Champs-Elysées boulevard, according to reports in Europe. 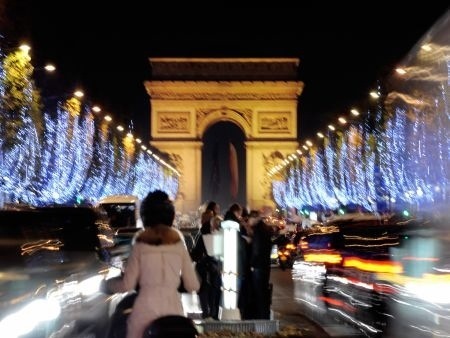 French private equity fund LBO France has sold a luxury housing complex on the Parisian shopping avenue and QIA is believed to be the undisclosed buyer, according to Property Investor Europe. The art deco building at 116 bis avenue des Champs-Elysées was built in 1931 and LBO France bought it in 2005. Following a refurbishment in 2007, the current sale is believed to include a UGC cinema, 5,000 sqm of office space and the famous French-style Lido cabaret. The deal is the second reported Champs-Elysées purchase by QIA this year. QIA bought a flagship retail complex in the heart of Paris from French insurance firm Groupama for around €500m (US$622m), according to a report in June by French newspaper Le Figaro. The retail complex, number 52, was built in the 1930s and is currently home to a Virgin Megastore, a branch of French retail chain Monoprix, a shopping arcade and offices. Groupama, real estate brokers Jones Lang LaSalle and QIA all declined to comment on the sale. QIA current portfolio includes stakes in Royal Dutch Shell, LVMH Moët Hennessy Louis Vuitton, Tiffany & Co and Paris St Germain football team. Inditex UK boss Dilip Patel is to take the reins of the Spanish fashion giant’s fledgling US business as the boss of its Italian arm Lorenzo Marcheselli takes over the UK. The initiative is part of a series of programmes aimed to increase waste recycling and reduce waste going to landfills, and is part of Dubai Municipality’s efforts to promote sustainable and integrated waste management in the emirate. “Shopping centres will have to pay a fine of Dh1,000 per day if they do not provide the bins for waste collection as stipulated in the guidelines. “The community is being reminded regularly on how precious our environment is and now people expect opportunities to act in a sustainable and environmental-friendly manner wherever they are,” said Abdul Majeed Saifaie, Director of the Waste Management Department at the Dubai Municipality. “The scheme will create a chance for people to act according to the facts they are aware of and this guideline will practically guide them to live environment-friendly with a ‘recycle-reuse-reduce’ slogan,” he explained. The guidelines request the management of shopping centres to form a recycling team, headed by a recycling coordinator, who has a good understanding of the centre’s operation. Apart from having a recycling coordinator, an individual from maintenance or housekeeping, business owners and waste service providers would be part of the team. Saifaie further pointed out that the scheme will help minimise the amount of waste being sent to landfills and recover valuable materials that can be processed into new products. “We want to encourage less reliance on [raw] materials in the manufacture of packaging, and [this will provide] financial benefits over time as materials are diverted from landfills into recycling,” he said. The guidelines, which were released yesterday, also state that cleaning workers should receive special training in segregating waste, and that all shop owners in the mall are responsible for setting up separate bins for different waste streams, including rubbish and recyclables. Each bin will have designated colour codes for different waste streams with clear labels, and awareness programmes will be provided to shoppers. “The recycling bins should be strategically located with simple and easily understandable signage, so they will be black coloured for general waste and green for recyclable items,” said Saifaie. The recommended sizes of the bins are between 120 litres to 240 litres and the signage should be in Arabic, English, Hindi and Urdu. Dubai developer Nakheel said on Sunday it has now fully leased all 10,600 sq m of available space at Jumeirah Park Community Centre, with nearly 30 retailers and restaurants confirmed for the new shopping centre. Geant supermarket will account for almost a quarter (2,400 sq m) of the community mall, which will primarily serve thousands of residents at Nakheel’s Jumeirah Islands, Jumeirah Village and Jumeirah Park developments. Jumeirah Park Community Centre – currently under construction and due for completion in Q3 2013 – will also have 10 cafes/restaurants and a host of every day convenience stores including a pharmacy, health food store, optician, dry cleaners, beauty salons and money exchange facilities. Sanjay Manchanda, CEO of Nakheel, said: “Retail expansion in our existing communities is a fundamental part of our business plan. Confirmed retailers for Jumeirah Park Community Centre include Geant, The Childrens’ Place, Early Learning Centre, Bin Sina Pharmacy, Holland and Barrett, Barakat Optical, Lily Pond, Jet Set, Nail Bar, 1847, Photo Magic, Money Exchange, Champion Cleaners and Geekay Games. Cafes and restaurants on board include Gloria Jeans, Tim Horton, Pizzaro, Burger Fuel, Subway, San Churro, Café de Roma, Louis Café, Louis Pastries and Menchies. In July, Nakheel said it had signed a AED27.5m ($7.48m) contract for the construction of Jumeirah Park Community Centre. 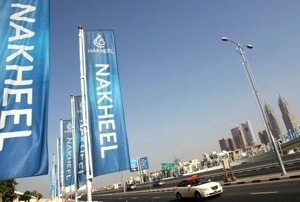 Nakheel said it has appointed Parkway International Contracting as main contractor for the community centre. The UAE has made it compulsory for all public and private sector organisations to include a female representative on their board of directors, the government announced. “Women proved themselves in many workplaces and today we want them to have a strong presence in decision-making positions in our institutions,” UAE Vice President, Prime Minister and Ruler of Dubai HH Sheikh Mohammed bin Rashid Al Maktoum announced on Twitter following a meeting of the UAE cabinet. “We have also made a decision to make the representation of women, in all the boards of directors of companies and [government] entities, compulsory,” he added. The move follows calls last month at the Arabian Business Women’s Forum for Gulf governments to consider implementing some form of quota system to increase participation of women in the workplace. At present, women in the Gulf make up around 18 percent of the labour force, compared to around 55 percent in Europe. Delegates at the forum said regional governments should consider implementing a female quota system, similar to nationalisation schemes seen across the Gulf. Earlier this year, UAE minister of foreign trade, Sheikha Lubna bint Khalid bin Sultan Al Qasimi, said introducing compulsory female quotas in UAE workplaces will not encourage more Emirati women to take up positions in the private sector. “While quotas are set by law in some countries, I believe this should not be the go-to solution for the UAE and the region in general. As a woman I would prefer to attain my position by real merit rather than always wonder if I was appointed to the board just to hit a quota or through affirmative action,” she said in an interview with market research firm Insight Discovery. “Collaboration will need to start from the top. If the government shows a genuine concern for empowering women, then the concerned agencies, the private sector and the general public will follow suit,” she added. Norway became the first country in 2003 to introduce female quotas under a so-called “golden skirt” policy that aims to have 40 percent of directors of listed companies to be women. Iceland followed with a series of targets and quotas in a bid for at least 40 percent of directors to be women by 2013. UK Prime Minister David Cameron in February said he would not rule out introducing quotas as a way of getting more women into top executive jobs. Sheikha Lubna was the first ever female to be appointed as a government minister in the UAE. Sainsbury’s has reinstated the role of group HR director following the announcement that customer service and colleague director Gwyn Burr is leaving the retailer in March 2013 to focus on her non-executive roles. The UK’s second largest food retailer has appointed former Lloyds Banking Group HR director Angie Risley (pictured) to the position, which was last filled by Imelda Walsh in 2010. Sainsbury’s created the role of customer service and colleague director in June 2010 following Walsh’s departure. The move was heralded as forward thinking, bringing marketing and HR together. Burr’s responsibility combined customer service, PR/corporate communications, CSR, sponsorship and people. Speaking exclusively to HR magazine at the time, Burr said this enabled Sainsbury’s to remove traditional silos and better align employees to the retailer’s growth plans. Burr also focused on driving maximum benefit from the supermarket company’s sponsorship of the 2012 Paralympics, bringing the lessons from sport into employee learning. Risley will oversee the HR teams for retail, logistics, and corporate. This sees a return to the traditonal HR operating board role which oversees HR functions. Chief executive, Justin King, said Risley will bring a wealth of experience, having worked at board level in a number of large customer-facing companies. Burr was ranked the 13th Most Influential Practitioner in this year’s HR Most Influential ranking while Risley was ranked in 14th place in the 2011 list. In the run up to Christmas, the figures for the number of empty shops in the UK reaches a new high. The latest Vacancies Monitor published by the British Retail Consortium (BRC) shows that the vacancy rate in the UK is 11.3% in October this year, the highest it’s been since the monitor was established in July 2011. Footfall is also down according to the associated BRC-KPMG Retail Sales Monitor. Whilst shopping centres saw a 0.1% increase and out-of-town shopping rose by 0.2% the high street saw a fall of 0.9% for the quarter (August – October). Although still negative, this figure is an improvement upon the 3.3% drop in footfall for the previous quarter (May – July). Ironically Northern Ireland, with the most empty shops, saw the greatest increase in visits to (the remaining) shops followed by the West Midlands and Greater London. These were the only three UK regions to see improved footfall over the quarter. Despite Britain’s high streets still struggling, the Government commissioned and received the results of The Portas Review last December. Retail guru Mary Portas looked in-depth at the plight of the high street and came up with a number of recommendations. Some of the Portas Review suggestions have been put into practice with Nottingham city centre being one example. The 12 Windows of Christmas Cheer project, a joint venture between Nottingham City Council and the Nottingham Business Improvement District (BID), has seen the windows of 12 empty shops decorated. Whilst not bringing the vacant retail premises back into a trading position, the empty shops which Deputy PM Nick Clegg called a “blight on the local economy” are at least not totally bereft of life. Online retailers have been blamed for some of the drop in footfall and increase in empty shops with research from one source showing that 88% of those quizzed blaming online shops for the demise of Britain’s high streets. When asked about which E-tailers might be responsible for the downturn in the high street, Amazon came out in first place with 61% of responses followed by newly re-branded eBay at 28%. The competitive pricing of online stores was seen as primary reason for the rise of Amazon and eBay and, when asked why their prices were better than the high street 62% of those polled said it was because the E-tail giants “pay less tax”. 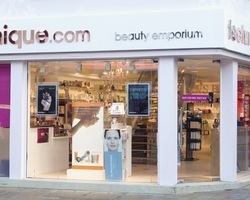 Online health & beauty retailer Feelunique.com has been acquired by private equity firm Palamon Capital Partners, it has been announced today, with the transaction valuing the business at £26 million. Europe’s largest online retailer, which was founded by Aaron Chatterley and Richard Schiessl in 2005, feelunique offers over 18,000 products from leading brands such as Dior, Clarins and Yves Saint Laurent. Chatterley and Schiessl will remain at the helm of the business though Palamon invested in the business in partnership with Sirius Equity and now holds a majority stakeholding purchased from the Founders. Speaking to Retail Gazette at the start of the year, Chatterley outlined what he felt the key trends in retail for 2012 would be. He commented: “Internationalisation is obliging UK e-tailers to accept the reality of operating in a bigger marketplace. Now is a time of considerable growth for the e-tailer, it said, following the opening of its London office earlier this year and the expansion of its team to include beauty journalist Newby Hands who joined as Editorial Director to launch exclusive editorial content for the site. Earlier this year, the retailer reported an EBITDA rise of 120 per cent to £1.98 million in the year to March 12th 2012, and record turnover of £26.7 million, a 63 per cent year-on-year rise. Following the investment, Sirius Co-Founder Robert Bensoussan is to join the board as Chairman, bringing with him years of luxury sector experience which have seen him operate as Chairman of LK Bennet and CEO of Jimmy Choo. Commenting on the move, Bensoussan said: “feelunique has developed an incredibly strong platform through the hard work of Aaron and Richard and their team. Lululemon Athletica Inc said on Thursday it would aggressively expand its chain of yoga shops in Europe and Asia, providing new avenues for growth even as its stellar performance in North America loses some luster. Shares of the Vancouver-based retailer rose more than 5 percent after the news, which came as a counterweight to Lulu’s warning earlier on Thursday that it expected sales growth at established stores to slow sharply in the current quarter. Third-quarter results, however, came in stronger than expected. Lululemon, with 201 stores in North America and Australia, will soon open its first full store in Asia, selecting Hong Kong for the debut. Featuring pricey, fashionable athletic clothing for young women, Lulu will also start testing the market in up to 15 countries over the next two years, Chief Executive Christine Day said during a conference call. “I think that the world is really available to them. I think it’s a concept that translates well globally,” said Canaccord Genuity analyst Camilo Lyon before Day’s comments. That said, Lulu appears to be headed for a speed bump in its current markets. The company said it expected same-store sales to grow “in the high single digits” in the fourth quarter ending late January – much slower than a 26 percent jump a year earlier. Profit margins also narrowed while inventories rose. Shares of Lululemon were up 5.4 percent in midday trading on the Toronto Stock Exchange, at C$71.74. On Nasdaq, the stock was at $72.24, up 5.3 percent, after falling as much as 4.1 percent in premarket trading following the earnings news. The company has posted robust growth in recent years, thanks in part to its push into the United States. The potential for a repeat of this success in Europe and Asia has underpinned analysts’ optimism, even though Lulu shares trade at a steep multiple to its earnings. 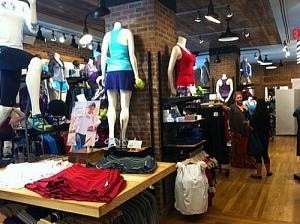 Lululemon tends to move slowly in new markets, recruiting “ambassadors” – local fitness instructors and athletes – to promote the brand, and running free yoga classes out of a showroom before committing to a full store. It uses its showrooms – small stores with limited product and opening hours – to test new markets. “Based on the success of both Hong Kong showrooms, we are actively looking to secure real estate for a store in that market,” Day said. The company plans to open a second showroom in London next year, as well as more showrooms elsewhere in Europe and Asia, “pre-seeding” in up to 15 markets over the next two years. Lululemon’s e-commerce division, one aspect of its push overseas, is already driving sales. The company recently launched websites serving Hong Kong, Singapore, Britain and the European Union. Direct-to-consumer revenue rose 89 percent to $45.1 million in the third quarter, growing to 14.3 percent of revenue from 10.4 percent a year earlier. It is also hiring for its international business, searching for showroom managers and bringing on a new senior executive. Barbara Le Marrec comes from Starbucks Corp where she headed up operations in Japan. The company said it has opened third-party logistics and distribution centers in Hong Kong and Rotterdam. Along with Britain and Hong Kong, Singapore and Germany are high-priority markets. Net income for the third quarter ended October 28, rose to $57.3 million, or 39 cents a share, from $38.8 million, or 27 cents a share, a year earlier. Analysts, on average, had expected 37 cents a share. Net revenue grew 37 percent to $316.5 million, ahead of the average analysts’ forecast of $305.3 million. For the fourth quarter, Lulu expects revenue of $475 million to $480 million. Analysts, on average, forecast $490.5 million, according to Thomson Reuters I/B/E/S. The company sees earnings per share of 71 to 73 cents, below the average estimate of 75 cents. Canaccord’s Lyon, who recently placed a “buy” rating on Lululemon, said the company’s outlook for sales growth was conservative, and that inventory, up 27 percent over the previous year, had lagged sales growth of 37 percent. Lulu said inventory was $164.7 million at the end of the quarter. Gross profit margin fell to 55.4 percent of revenue from 55.8 percent last year, and operating margin slipped to 25.5 percent from 25.9 percent. An artist’s impression of the Wafra Seef project. A US-based architects has been hired to design a new food and entertainment destination planned for Kuwait, it was announced on Monday. Global architecture and design firm Gensler has been appointed by Wafra Real Estate Company to design the Wafra Seef project. The company said in a statement that it will provide full design and supervision consultancy services. 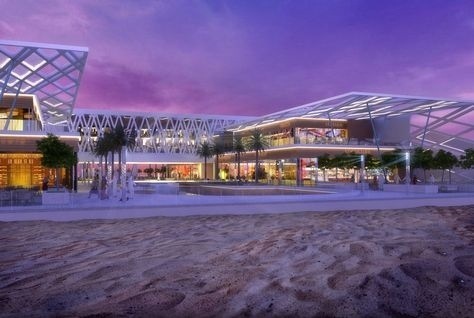 “This exquisite dining destination will be the first of its kind in the region, offering patrons a gathering place where they can dine, meet and mingle, while enjoying the breathtaking views of the Arabian coastline,” Gensler said. This is Gensler’s second project with Wafra Real Estate, after recently completing the interior of Wafra’a headquarters in Kuwait. Wafra Seef is located along the coastline of the Al Mahboula Area just south of Kuwait City. Gensler said it would create a 5,760 sq m retail venue “unique to Kuwait, exuding quality, contemporary simplicity and understated elegance”. Gyms and health club facilities will feature alongside food and drink outlets while further details have not yet been released. “In recent years Kuwait has experienced an emergence of new trendy dining developments. Wafra’s intent is to build the ultimate dining destination, catering to Kuwaiti Nationals and expats alike,” said Tareq Abu-Sukheila, managing director of Gensler’s Abu Dhabi unit. “We are pleased to work with Gensler on our second project in the region,” added Mohamad K AlZemami, project manager, Wafra Real Estate Company. Greggs has announced that chief executive Ken McMeikan, is leaving the group to take up the position of chief executive of Brakes Group. Mr McMeikan has agreed with the board that he will stay in his role whilst a successor is appointed; this will be announced “in due course”. 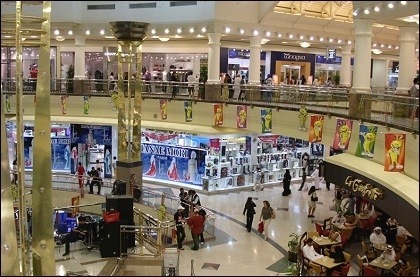 JEDDAH —The GCC’s retail sales are expected to grow at a CAGR of 7.7 percent from end-2011 2 to reach $270.3 billion by 2016, Alpen Capital said in a report Sunday. Food retail sales are anticipated to expand at a CAGR of 8.8 percent during this period while non-food retail sales are likely to grow at an annual average growth rate of 6.6 percent. Food sales growth will outperform non-food sales growth during the forecast period as high-value and healthier food products could find greater demand. Sales of supermarkets and hypermarkets in the GCC are expected to grow at an annual average rate of 10.5 per cent between 2011 and 2016. The relatively under-penetrated markets in terms of modern grocery retail formats like Saudi Arabia, Qatar and Kuwait are likely to outperform in this segment. Duty free and travel retail sales in the Middle East are forecasted to grow at a CAGR of 11.6 percent from 2011 to 2016, outperforming the broader retail industry in terms of growth. The outlook for the luxury segment remains positive and is expected to expand at CAGR of 8.2 percent between 2011 and 2016. The region’s retail sector has displayed strong resilience in the face of global economic downturn and is expected to continue to grow at a steady pace given its attractiveness to tourists and residents, geographic location, developed logistics and availability of diverse shopping options. While the sector presents attractive opportunities, it is highly competitive and retailers need to continue to innovate so that they can achieve sustainable growth and profitability. “The region’s retail sector has displayed strong resilience in the face of global economic downturn and is expected to continue to grow at a steady pace given its attractiveness to tourists and residents in terms of geographic location, developed logistics and availability of diverse and quality shopping options. While the sector presents attractive opportunities, it is highly competitive and retailers need to continue to innovate, so that they can achieve sustainable growth and profitability,” said Mahboob Murshed, Managing Director, Alpen Capital. Food retail sales are anticipated to expand at a compound annual growth rate (CAGR) of 8.8 per cent during this period while non-food retail sales are likely to grow at an annual average growth rate of 6.6 per cent. Food sales growth will outperform non-food sales growth during the forecast period as high-value and healthier food products could find greater demand. Sales of supermarkets and hypermarkets in the GCC are expected to grow at an annual average rate of 10.5 per cent between 2011 and 2016. The relatively under-penetrated markets in terms of modern grocery retail formats like Saudi Arabia, Qatar and Kuwait are likely to outperform in this segment. Duty free and travel retail sales in the Middle East are forecast to grow at a CAGR of 11.6 per cent from 2011 to 2016, outperforming the broader retail industry in terms of growth. The growth projection has been revised upwards from the previous report primarily in anticipation of higher passenger traffic at the Abu Dhabi and Qatar airports and concourse 3 plans at the Dubai Airport. The outlook for the luxury segment remains positive and the luxury retail sales is expected to grow at a CAGR of 8.2 percent between 2011 and 2016. While retail sales in all the countries across the GCC region is expected to register positive growth through 2016, the outlook for Saudi Arabia is the most optimistic .The retail industry in Saudi Arabia is projected to expand at a CAGR of 9.5 percent between 2011 and 2016. All the other GCC nations are likely to register retail sales growth of around 5 percent-7 percent during the same period. Based on a Moderate Growth scenario calculated at 80 per cent occupancy over the next five years for the supply-side estimates, occupied gross leasable area (GLA) in the GCC is projected to reach 15.8 million sq m in 2016 compared to 11.4 million sq m in 2011 growing at a CAGR of 6.8 percent during the same period. Retailers are expected to continue their focus on improving efficiencies and making optimum utilization of retail space. Although the projected GLA additions in the GCC are unlikely to create an over-supply situation and vacancy rates are expected to remain under control, retailers may be selective in picking the right space for their stores in shopping malls. Prada SpA (1913), the Italian maker of $3,290 luxury handbags, rose to a record in Hong Kong trading as third-quarter earnings beat analyst estimates after Asian tourists fuelled gains in Europe. The stock rose 10 percent to HK$71, the highest close since its June 2011 initial public offering. The benchmark Hang Seng Index lost 0.3 percent. Customers queue to enter a Prada SpA store in the Tsim Sha Tsui area of Hong Kong, China. The Milan, Italy-based company yesterday said it’s confident of “positive” full-year results after reporting a 57 percent gain in third-quarter profit. Earnings before interest and tax rose to 217.6 million euros ($284.5 million) in the three months ended Oct. 31, higher than the 184.3 million euro average of six analyst estimates compiled by Bloomberg. “Another great performance,” Aaron Fischer, an analyst at CLSA Ltd. in Hong Kong, said in a note to clients. Revenue advanced 33 percent to 791.9 million euros, also beating estimates. Prada expects full-year same-store sales to climb by a mid-teens percentage, Finance Director Donatello Galli said on a conference call. Chief Executive Officer Patrizio Bertelli forecast 15 percent growth in September. 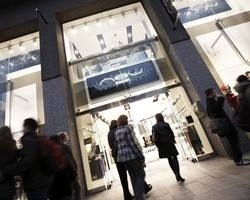 Shoppers are spending more on higher-priced goods, while Asian tourists are helping buoy demand in Europe, Galli said. “The group remains confident that the strategies and the actions in place will continue to bring positive results even in the present still challenging global economic environment,” the company, which operates the Prada, Miu Miu, Church’s and Car Shoe brands, said in a statement. Third-quarter revenue growth was led by the Asia-Pacific region, which increased 21 percent excluding currency swings, and by leather goods, which climbed 38 percent on the same basis, Prada said. All other product categories achieved double- digit sales growth, while European same-store sales rose 32 percent as the company continued to attract travelers, it said. Prada’s results show “solid outperformance” in the sector, said Peter Tang, a Hong Kong-based analyst at Mizuho Securities Asia. “There continues to be a big shift in buyers from the East traveling to the West to shop. It is going to be the companies that capture this shift that will benefit most in this type of environment,” Tang said in a telephone interview today. Sales of the Prada brand advanced 29 percent, excluding currency swings, and Miu Miu rose 9.8 percent, Prada said. Nine-month net income, which surged 50 percent to 408.6 million euros, was curbed by a higher-than-expected tax charge as the Italian tax authority declined a request by Prada not to apply an exemption rule to its Dutch sub-holding company. Prada plans to appeal the decision, Galli said. 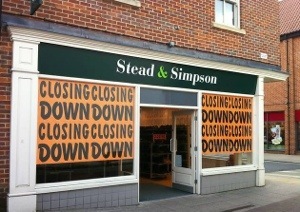 The owner of shoe retailer Stead & Simpson is to close 90 stores following a “thorough review” of the business. The news is a further blow to Britain’s beleaguered high street, which has seen a number of recent high-profile failures, including Clinton Cards, Comet, JJB Sports and Peacocks. Stead & Simpson began life in 1834 as a leather merchant in Leeds. It floated in 1981 and was taken over eight years later by Clayform Properties, which went into administration in 1993. In 2005, Bank of Scotland backed a £50 million management buyout of the business, but the chain went into administration in 2008 and was acquired by current owner Shoe Zone. Stead & Simpson currently has 227 stores, of which 90 are to be shut, although the group was unable to say where the closures will take place. Dressipi, the online fashion and recommendation service has announced that the former chairman of Marks and Spencer (M&S), Sir Stuart Rose is to join the company as its chairman. In short, Dressipi is a consumer clothing site that offers a personal style guide, fashion tips and advice. It was recently featured in Vogue’s top 100 places to shop online. Users input their statistics and answer quiz questions so that the suggestions provided are hopefully closer to their tastes and preferences. The company was co-founded by Sarah McVittie and Donna Kelly in 2009. Since then it has been integrating various known fashion brands including Boden and BrandAlley, which use its recommendation service for its own shoppers. 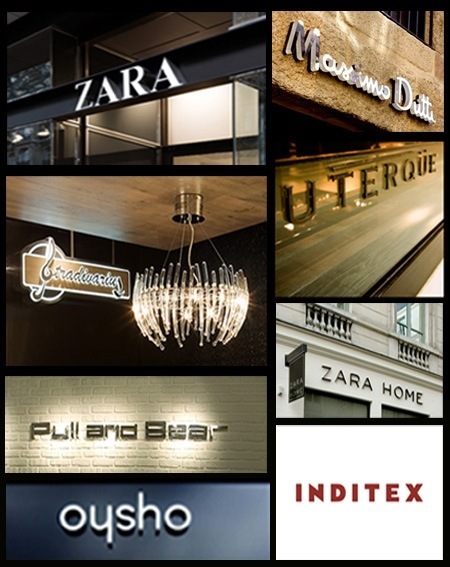 The company says that more UK high-street names are to be added in Q1 2013. Rose will join the team in an advisory capacity, naturally he is of great value given his considerable experience with one of the UK’s best known clothing and retail brands. 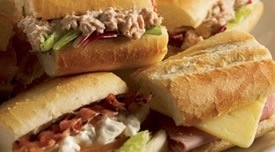 It’s good timing as Dressipi’s plans to work with other retailers are about to expand. The company’s existing team of stylists includes former Daily Mail fashion editor Natalie Theo, journalist Gemma Soames and stylists Nicki Black and Tara Kavanagh-Dowsett. Already sites like Stylistpick are working to make women’s fashion easier by providing specific items that might appeal to its customers. Though there have been critics, Dressipi is an engaging way to shop online. This boost to the company’s profile might help it stand out in a market where style advice combined with retail is becoming the norm. 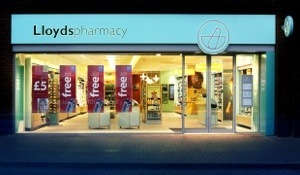 Lloydspharmacy owner Celesio has announced that it is planning rebrand the chain as Lloyds. The German group said the move was part of its plans to become “the leading pharmacy brand in Europe” in a major realignment of its retail portfolio. Celesio is currently undertaking a trial of what it called “the corner stones of its future European Pharmacy Network” which will see a cross-group standardisation at all its pharmacies. They will undergo the name change while a new store concept is being trialled which will see new service formats and the latest in-store technology rolled out. The Lloydspharmacy colours will change from light blue to a grey background and green lettering. Pilot pharmacies opened in Bicester and Bromsgrove last week in the UK and in Italy. The group will continue to test the concept in Europe next year prior to a roll-out across its 2,200 stores across the continent. Celesio said that the new stores are designed to put customer care at the centre of its proposition featuring health bars, offering higher quality products, consultation rooms and interactive touch screen technology. Stephan Borchert, member of Celesio’s management board, said of the move: “Under the name of ‘Lloyds’, we wish to establish in the coming years the leading European pharmacy brand. It will stand for pharmaceutical excellence in service, medical advice and product portfolio as well as for a new and positive pharmacy experience on the part of the customers. Celesio said that the new pharmacies will also simplify their service portfolio by focusing on either ‘skin’ or ‘pain.’ Celesio has identified these as the main reasons for a visit to the chemist though additional areas of focus will be added over time. Advice begins with analysis using top technology such as digital skin scanners, while compliance management is also a key part of the strategy. In addition, Lloyds will also introduce intelligent stock management systems to simplify the process efforts of its staff. As part of the new network, independent pharmacies will be given the opportunity to partner with Lloyds and use the services either in full or in individual modules. US singer Jennifer Lopez, popularly known as J.Lo, was paid nearly AED1m (US$250,000) to open a car showroom in Dubai, it was reported on Thursday. The singer, actress and former American Idol judge arrived in Dubai on Wednesday and attended the official opening of Al Nabooda Automobiles’ new Audi showroom. The new facility on Sheikh Zayed Road is reportedly the largest Audi showroom of its kind in the world. The singer is in Dubai to play a concert at Dubai’s Media City as part of her sell-out ‘Dance Again’ world tour. While Audi Middle East is one of the official sponsors of the gig, the singer was rumoured to have been paid US$250,000 (AED918,275) to be the surprise special guest at the showroom launch, according to a report by Arabian Business’s sister website AhlanLive. “It’s my first time here and I am so excited. I have had a lovely day out there today, I feel the weather is really good right now, you guys are very lucky,” Lopez told a gathering of fans and clients at the Audi showroom on Wednesday. High street retailer Marks and Spencer (M&S) is to open at midnight on Christmas Eve morning ahead of one of the busiest shopping days of the year, it has been announced today. While December 23rd is traditionally the busiest day for food shopping in the retailer’s calendar, the Christmas rush is expected to spread over two days to compensate for Sunday’s reduced trading hours. A total of 103 stores across the UK will operate early bird opening hours, 49 of which will be full offer stores while 54 Simply Food stores will open. Last year, M&S launched a ‘food to order’ click & collect service allowing customers to search for foodhall favourites ahead of the festive rush and today’s announcement means shoppers can nominate early morning time slots anytime after midnight to pick up orders. Sacha Berendji, Director of Retail at M&S, said: “We know that the days leading up to Christmas are some of the most hectic for our customers. “Due to Sunday trading rules, we can only open for six hours on one of the busiest days of the year. A month ago, M&S revealed that pre-tax profit had fallen 10 per cent in its first half while UK like-for-like sales fell 1.4 per cent, knocked by a weakness in its clothing offer. Analysts noted at the time that the retailer needed to strengthen its clothing offer to align it with the success of its food arm and M&S has also today announced a clothing campaign as part of its Plan A initiative. Earlier this year, the retailer unveiled its ‘shwopping’ campaign which involves ‘buy one’ and ‘give one’ so that shoppers can pass on used clothes in the hopes of putting an end to unwanted clothing and today it has revealed plans for a ‘shwop at work’ service. Offering a dedicated service for businesses nationwide, M&S will place clothes recycling boxes in offices for a one day eco drive before Oxfam, M&S’ shwopping partner, collects and re-sells the garments to raise money for its poverty alleviation work around the world. Adam Elman, Head of Plan A Delivery at M&S, said: “We’re passionate about giving used clothes a future. “There’s no excuse for sending textiles to landfill and that’s why we’re doing everything we can to make it easy for people to recycle with Oxfam. “We’ve spoken at length with our customers – on Facebook, in focus groups and day-to-day in stores – and they want us to make shwopping as easy as possible, and that’s why we’re bringing it to offices and workplaces. Starbucks has offered to pay an additional £10m a year to the taxman until it becomes profitable in an effort to appease customers. Here is Kris Engskov, managing director of Starbucks UK’s speech in full. Good afternoon. Thank you for attending and for giving me a platform to share an important announcement about Starbucks today. Since the London Chamber was founded in 1782, one of its primary missions has been to represent the interests of London’s trading community by facilitating a debate around the most important issues of the day. And, it’s certainly fulfilling that mission today. I also want to take a minute just to say “thank you” to Colin personally for being such a strong advocate for business in Britain and particularly here in London. You represent a diverse membership very well and for that we are grateful. Since Starbucks Coffee arrived here in London, on the Kings Road, back in September 1998, we have become part of the fabric of this country, up and down high streets from as far south as Cornwall to as far north as Inverness. Doing the right thing is part of the DNA of our company (and of the thousands of people who work here that we call “partners,” because each of them have equity in the form of shares in our company) and over these past 14 years we’ve been doing business here in the UK, the most important asset we have built and developed with our customers is trust. As we all know, trust is developed over time. Trust is about making a commitment and keeping it, in good times and bad. It’s developed by doing the things you say you’re going to do, and then keeping those promises. And, always living up to the expectations you’ve set. Most importantly, it’s built by doing the right thing. And frankly, doing the right thing at Starbucks doesn’t mean only doing what is right by our shareholders. It also means doing the right thing and building trust with our partners, with our customers and for the many communities we operate in all across the country. We’ve also recognized over many years that acting responsibly is also good for the bottom line. There is no doubt that tax has become an important subject of debate over the past several weeks and I think it’s important to share that the emotion of the issue has taken us a bit by surprise. Since we started doing business here, we have always organised our tax affairs according to the letter of the law – always. We have used existing and agreed-upon measures to pay what is expected of us, but not more — just as most companies do and I am sure many of the people here today run their businesses in similar ways. We have also built a strong relationship with HMRC to ensure we always comply with the requirements set by UK tax law. 1,000’s of people in many communities, with a quickly growing food service, vending and grocery business, we’ve built a significant presence in Britain. Annually, we inject nearly £300m into the UK economy and are always exploring additional initiatives to expand our growth. We are committed to the UK for the long-term and will continue to invest here – providing jobs and training for the over 8,500 partners and growing, and investing in the experience we provide to our customers – whether that is through our new and refurbished stores (we invested £8m in the renovation of 70 stores across the capital in time for this summer’s Olympic games; some of these are among the best designs we’ve created anywhere in the world), or developing new and exciting products both unique in the UK and Europe and some created in countries far from our own. And now, about our coffee. The UK is one of the most innovative and competitive espresso markets in the world, and the world’s eyes remain on our coffee business here, particularly in London. I am proud of the innovation taking place around coffee here in Britain – and am particularly proud Starbucks has played and is continuing to play such an important role in making our capital such an important part of global coffee culture. But, as I’ve talked about at some length previously, we’ve haven’t been as successful as we would have hoped over the past 14 years of doing business here. And, some have questioned the claim that we’re not profitable here. With 2 million customers visiting us each week in hundreds of stores across the UK, you’d think we would find it difficult not to make healthy profits each year. In fact, the story is much more complex. Although our company is 40 years old, we are still relatively young in the UK. This has meant the last decade involved a high degree of ongoing investment. As I said, by any measure, the UK remains the most competitive espresso market in the world and we have not performed to our expectations over the many years we’ve been in business here. Given we tend to locate in places with the highest footfall, usually on high streets and in prime locations, our rents have traditionally been very high, and we have in the past made decisions during a period of rapid expansion that continue to prove challenging. In the early days of our development here, the lion’s-share of our business was in London, where rents were particularly high. It’s why we’re now focusing on the way we grow our business – for example with drive-thru locations, a concept still in its infancy here in the UK and a vital part of our strategy to achieve greater profitability as we grow across different parts of the country. This is just one of many ways we are looking to grow, and to become more profitable over time. We know, given how our recent store openings and drive-thrus are performing, that we are making the right decisions. And, the good news for customers is that they can now get a great cup of Starbucks coffee wherever they are – whether that is in supermarkets, on the road, in airports, in motorway service stations, and on planes and trains. But the fact that customers have so much choice wherever they are means that we have to work harder than ever to give them reasons to choose Starbucks. That said, I have never been more optimistic about our opportunities as a business here in the UK. And, while we have challenges to work through as we bring this business to sustained profitability, we’re well on our way – having made a great deal of progress just over these last 18 months. And, as we know, higher profits generate more tax receipts. And, if I can, let me talk about Starbucks and tax for a few minutes. We’ve learned it is vital to listen closely to our customers – and that acting responsibly makes good business sense. We’re experiencing one of the most difficult macro-economic periods in many years, and our customers are under a great deal of financial pressure. With the backdrop of these difficult times, in the area of tax, our customers clearly expect us to do more. It’s why I am standing before you today – not justifying the status quo, but to tell you that we are going to take action and do something about it. Today, I am announcing changes which will result in Starbucks paying higher corporation tax in the UK – above what is currently required by law. Specifically, in 2013 and 2014 Starbucks will not claim tax deductions for royalties or payments related to our intercompany charges. In addition, we are making a commitment that we will propose to pay a significant amount of corporation tax during 2013 and 2014 regardless of whether our company is profitable during these years. We are still working through some of the calculations, but we believe we could pay or prepay somewhere in the range of £10m in each of the next two years in addition to the variety of taxes we already pay. This is an unprecedented commitment. It hasn’t been done before. So there is no procedural guideline for how to do it. As such, I want to clarify something that has been the subject of inaccurate reports this past week: despite the fact that we have a consistent and ongoing dialogue with the tax authorities over our business affairs here in the UK, we have not yet shared this particular proposal with HMRC. Looking ahead, if we are not able to generate substantial profits in the years ahead (meaning beyond 2013 and 2014), we will consider extending this commitment until we are paying corporation tax at a material rate. I’d like to highlight a few details behind these commitments. For two years or until we make a profit. I am confident these actions, when taken together, will position us as a company to make a larger contribution to the Exchequer and most importantly to the communities we serve while we make the moves necessary to achieve a sustainable level of profitability. These decisions are the right things for us to do. We’ve heard that loud and clear from our customers. And, today, we’re taking the actions necessary to pay more corporation tax in the UK. Over and above these commitments we’re making today, we will continue investing in the UK in a number of other ways – growing our store portfolio in many places across the country, and creating jobs in the communities we serve – especially for young people. And we will do even more. We announced last year that we plan to open 300 new stores and create another 5,000 new jobs in this country over the course of 5 years, and we remain on track to meet that commitment. We are one of the most active companies in this country in regards to offering young people apprenticeships. Back in September, we committed to employ 1,000 apprentices over the next two years, with 700 of those offered in London stores alone. This will give young people a chance to get a foot on the ladder of a promising retail career at a time when they most need it. I have never been more optimistic about the opportunities we have in the UK. But I know that trust is not something that is earned back overnight. Delivering on the actions we have announced today is fundamental to reassuring the millions of customers who pass through our doors every year and the thousands of partners who rely upon Starbucks that their faith in our company is justified. I’d like to take a moment to thank the eight and a half thousand Starbucks partners all over the UK who continue to look after our customers in such a remarkable way. And I want to take a moment to thank the London Chamber once again. During difficult times, it is important to remind people of the vital role that business plays in their communities. Luxury UK fashion house Mulberry has seen its first-half pre-tax profit slide as it invested in opening new stores abroad. The company said profit before tax fell 36% over the six months to 30 September, dropping to GBP10m from GBP15.6m in the same period of the prior year. 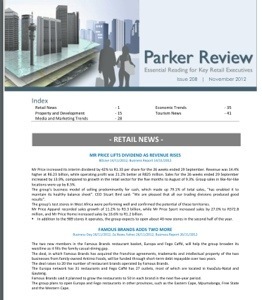 Revenue grew 6% to GBP76.5m as retail revenue rose 13% to GBP46.5m, rising 7% on a like-for-like basis. UK retail sales grew 9% to GBP39.2m, with full price sales performing well, up 14% when compared with the same period of last year, despite the challenging economic environment. UK outlet sales were weaker, down 13%, partially due to the company’s decision to stop making products specifically for the outlet business. International retail sales were up 40% to GBP7.3m, with the company opening stores in San Francisco, New Jersey and Zurich over the period. It expects to open 17-20 new stores by March 2013. Wholesale revenue fell 4% to GBP30m, which Mulberry attributed to account rationalisation and a more challenging environment, especially in Asia where there was “cautious ordering by franchise partners”. Gross margin declined to 61.3% from 66.2%, but is expected to recover in the second half of the year. The company said it is encouraged by trading in the second half to date, “despite the challenging economic environment”. Over the nine weeks to 1 December, total retail sales grew 19% on the same period of the prior year, and like-for-like sales rose 11%. The company expects its wholesale account rationalisation and cautious ordering by partners to drive a decline in wholesale revenue, which is likely to be down 10% for the full year. “We continue to focus on creativity, craftsmanship and quality and will place great emphasis on reinforcing Mulberry’s luxury positioning through the quality of our products, retail experience, marketing communications and choice of distribution channels,” said chief executive Bruno Guillon. He added that the company has begun the construction of its second UK factory, which will create 300 jobs and open during the summer of 2013. Retail insolvencies in the Republic of Ireland have increased by 46 percent on the same period last year and for many, the debt burden has now become unsustainable according to the world’s largest trade credit insurer Euler Hermes. Figures within the latest Euler Hermes UK and Ireland Risk Bulletin show that by the end of the third quarter, the number of insolvencies recorded had already surpassed the total number of failures for the whole of 2011. “The retail sector has been hit from every angle with little or no relief,” said Mike Buggy, Risk Underwriting Manager for the Republic of Ireland. The Risk Bulletin identifies such issues as upward only rent review clauses and high local authority charges as compounding an already difficult situation, leading to a marked increase in the use of examinerships and receiverships in recent months as a mechanism to exit onerous leases and/or restructure unsustainable debt. Recent high profile examples include Atlantic Homecare and Clerys. Applications for credit insurance cover have increased year to date indicating greater activity in the broader economy, though the number of applications specific to the retail sector fell in both August and September. The Risk Bulletin also states that the pricing strategies among the multiples are having a detrimental knock-on effect on primary and secondary food processors. A difficult situation is being made worse by rising costs of feed, protein and energy, “Recent insolvencies have highlighted the inability to pass on rising input costs as a major contributor for their downfall,” Buggy concluded. With the launch of its business in the Nigerian market last week, authorised Apple reseller in Nigeria, iStore has revealed plans to offer free training to customers on Apple hardware and software. The new store located at the Ikeja Mall, Lagos, would offer free training through a tailored programme that covered Apple hardware and software which would provide customers with the opportunity to get to know their Apple products better. This is part of the value-added offerings initiated to mark the opening of the first official Apple shop in Nigeria, iStore Executive Director, Rutger-Jan Spaandonk said on Monday. Spaandonk added that the opening of the first iStore in Nigeria would boost accessibility to official Apple products in the country thereby making it convenient for Nigerians to purchase Apple products and accessories. “We are thrilled to be opening the first iStore in Nigeria. iStore’s expert team and amazing customer service are the hallmarks of iStores throughout South Africa and we will strive to deliver the same in Nigeria,” he said. 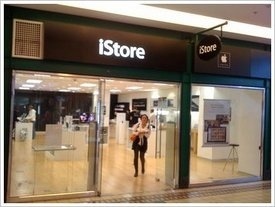 The iStore was first introduced in South Africa with 13 stores. Services offered at the istore include retail design, interactivity, customer service and support to provide an unrivaled shopping experience. The newly opened iStore will offer services such as tech support and product setup as well as demonstrations from a knowledgeable team of Apple heroes. Customers will also get a free sleeve or cover with the purchase of any iPad or Macbook. More information on this is available on the company’s website. iStore Ikeja Mall, according to Spaandonk, has been designed as a base for the Nigerian Apple community, where customers are encouraged to learn how to get the most out of their Apple products through hands-on product experiences and professional advice. 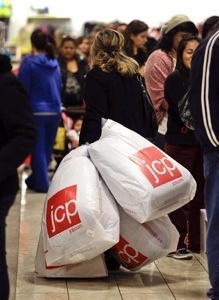 J.C. Penney Co. (JCP), the department-store company undergoing a turnaround led by Chief Executive Officer Ron Johnson, said its operating efficiency may be hurt after it fired employees while others left voluntarily. The company listed new “risk factors” surrounding its workforce reductions, as well as concern that customers may not accept new marketing and merchandising strategies, in its third- quarter regulatory filing yesterday. J.C. Penney, based in Plano, Texas, said the departures of officers and line managers with “specific knowledge” about the company and its industry may be “difficult to replace,” according to the filing. J.C. Penney’s revenue has declined by more than 20 percent for three straight quarters as Johnson, who joined as CEO about a year ago from Apple Inc. (AAPL), loses customers in a bid to implement an everyday low-pricing plan and turn the chain into a collection of branded shops. The company said its new strategies rely on customers’ acceptance, and that any changes may be “substantial” and “result in significant additional costs” while potentially disrupting the business, according to the filing. The company didn’t include that language in its second- quarter filing. J.C. Penney fell 1.4 percent to $17.53 at the close in New York. The stock has tumbled 50 percent this year, compared with a 12 percent gain in the Standard & Poor’s 500 Index. J.C. Penney, with 159,000 employees as of Jan. 28, offered a lump-sum settlement payment in September to about 35,000 participants in a pension plan who separated from service with a deferred vested benefit as of Aug. 31, according to yesterday’s filing. It didn’t provide the latest head count. In another risk factor, J.C. Penney said securities class- action litigation has often been pursued against companies following periods of volatility in the stock market or in specific shares, which would be costly and distracting. Alistair McGeorge, Chairman if New Look, said of the appointment: “I am delighted that Anders is to be New Look’s next Chief Executive. While New Look regularly rates highly on ChannelAdvisor’s UK Commerce Index which details the fastest-growing retail sites in terms of Facebook fans, it is felt that more can be done to strengthen its multichannel reach. .The South African Council of Shopping Centre’s (SACSC) predicts that while retail trade sales growth will comfortably outpace inflation in December 2012, it is unlikely to reach the extraordinary peaks of last year’s festive shopping month. The prevailing economic uncertainty in 2012 and non-retail consumer pressures are the main contributing factors. “Uncertainty in international and local macro economies defines 2012. Most key indicators show no clear upward or downward trend. They are moving sideways, clearly displaying much uncertainty,” says Stops. On the other hand, Stops notes consumer inflation on clothing, household products and homeware is much lower than the current inflation rate, making these mostly essential products attractive to consumers. For this reason, Stops says, it is likely that Christmas shopping will be focused in these categories, as well as home improvement products. The plethora of new competing IT and electronics products will also prove popular on festive shopping lists, as prices have dropped substantially in most instances. This is especially true for high-quality cameras, e-readers, smartphones and tablets. Most local festive shopping will be through traditional channels – in shopping centres and central shopping districts. E-commerce and smartphone retail applications have yet to gain significant traction. “In South Africa we are two to three years behind what is already happening in the US and Europe for smartphone shopping. In the US more than 15% of all sales are already linked to e-commerce,” says Stops. However, online and smartphone shopping are gaining importance as retail channels in South Africa. Well-known US department store Macy’s, and others, are making products available to South African shoppers in Rands with a six- to eight-day delivery, and local retailers like Mr Price are becoming decidedly more active in e-commerce. “With Apple and Samsung selling millions of smartphones each month, South African retailers will have to move into giving customers apps instead of expecting them to work through websites,” says Stops. She also anticipates shopping, driven by input through social media, will also become much more attractive in future. “Social media in South Africa is still in its infancy stage and high growth could be expected during the next couple of years,” says Stops. Stops sees the rise of the social media manager in South Africa’s shopping centres. “They will be tasked with getting conversation going about different products in stores and for the shopping centre as a whole,” says Stops. Qatar First Investment Bank (QFIB), has announced the acquisition of a 40 percent stake in Turkish retailer English Home. The acquisition marks QFIB’s first venture into the retail sector and the second in the Turkish market, it said in a statement. Abdulla Bin Fahad Al Marri, QFIB chairman, said: “This acquisition is our second in Turkey which has recently received an ‘investment grade’ by Fitch due to its high-performing economy. English Home, established in 2008, is a home textile retailer with a strong presence in the Turkish market. Its number of stores has increased from three in 2008 to more than 115 in 2012 across Turkey and the Ukraine in addition to franchises in Cyprus, Albania, Azerbaijan and Iraq. Emad Mansour, CEO of QFIB, added: “We are very excited to venture into the retail sector, specifically in Turkey which has a vibrant retail market driven by a population with an increasing purchasing power. Post-acquisition, QFIB said its role will be to assist the firm in achieving its ambitious growth targets. Yasar Aydin, chairman of Turgut Aydin Holding Company said: “We are very pleased to welcome QFIB as a shareholder in English Home. QFIB said in October it will invest $150m in Kuwait Energy Co to support the firm’s expansion. Unlisted QFIB acquired a $16m stake in Kuwait Energy in June 2011, a statement said. The Qatari investment company plans to list on the Doha stock exchange by November, its chief executive said earlier this year. QFIB made a net profit of $25.8m in 2011, up 20 percent from 2010, according to the company’s website. 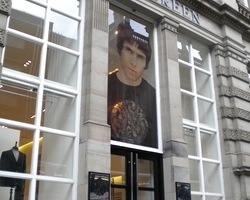 Mod fashion retailer Pretty Green has confirmed today that it is looking to open a flagship store on London’s Regent Street. Owned by musician Liam Gallagher, the menswear retailer already has a presence in the capital with stores in Covent Garden and on Carnaby Street and has a dozen stores across the UK with plans to expand further. The label also opened a store in Tokyo earlier this year, its first international store as it looks to capitalise on the popularity of its products within the Japanese market and it is hoped that a presence on the West End’s Regent Street will further entice Brits and foreign visitors alike. London’s West End is increasingly favoured by tourists, particularly Chinese shoppers, who seek out the famous luxury quarter to bag products at a discount thanks to tax-free shopping, while the area is also a Christmas shopping hub during the festive season. Sir Philip Green, the high street billionaire, is to sell a chunk of his burgeoning Topshop empire to outside investors in a move that will cement his reputation as one of Britain’s most successful businessmen. I can exclusively reveal that Sir Philip is in advanced talks about selling a stake of up to 25% of Topman and Topshop. The deal, which is not yet finalised, is expected to value the two chains at close to £1bn, confirming their status as the most lucrative franchises in British fashion. If completed, the spectacular move will add credence to Sir Philip’s ambition of becoming a global retail magnate and will represent the latest in a string of deals which have transformed him as the most powerful man in the UK fashion business. The buyer of the stake in Topshop and Topman, which will be ring-fenced from the rest of Sir Philip’s fashion businesses as part of the transaction, is understood to be one of the joint owners of J Crew, the American clothing business. Sources close to the talks said the deal was yet to be finalised but that an agreement could be announced as early as this week. J Crew is owned by Leonard Green & Partners (LGP) and TPG Capital, two big American private equity firms which between them have backed companies such as Debenhams, the department store chain, and Neiman Marcus, the upmarket American retailer. People close to the situation said that LGP, which is based in Los Angeles, had been in talks with Sir Philip about making an investment in Topshop for some time. LGP also owns companies in the banking, consumer products and healthcare industries, and this year announced that it had raised a fund of $6.25bn to invest in the coming years. TPG and LGP bought J Crew for about $3bn in November 2010. J Crew is run by Millard ‘Mickey’ Drexler, the former chief executive of Gap, one of the most successful US fashion exports of the past 25 years. The spectacular deal to sell a stake in Topshop will be Sir Philip’s most significant business transaction since he failed with his second attempt to buy Marks & Spencer eight years ago. Since then, the women’s fashion chain has enjoyed a period of soaring growth fuelled by its knack of producing on-trend clothing at affordable prices. Its partnership with the supermodel Kate Moss has also kept Topshop in the tabloid headlines and raised the profile of Sir Philip’s business. Sir Philip’s latest deal will also mark a decade since he created the Arcadia fashion business following an £800m takeover that set him on the path to becoming one of Britain’s wealthiest people. The Sunday Times Rich List reported this year that Sir Philip and wife Tina, the legal owner of the business, were worth £3.3bn. Arcadia’s six other brands, which include Dorothy Perkins and Miss Selfridge, will not be included in the transaction, according to people close to the discussions. The funds from the stake sale will be used to accelerate Top Shop’s international expansion. Sir Philip has been in talks with a wide range of potential investors and partners for several years as he targeted growth in the US and Asia. Topshop outlets in the US have performed well since flagship stores opened in Chicago, Las Vegas and New York, fuelling the billionaire’s ambition to open shops in a much larger number of markets. Earlier this year, he struck a deal with Nordstrom, the New York-listed department store chain, to sell Topshop and Topman-branded clothing in up to 100 outlets. Sir Philip is understood to be determined that his staff do not see the sale of a stake in Topshop as undermining his commitment to the rest of his brands. Arcadia employs 43,000 people and is one of Britain’s biggest private sector employers. Sir Philip has defended the company’s tax arrangements amid the escalating row over corporate taxes because the business is owned by his Monaco-based wife. He pointed out last month that Arcadia had paid more than £2bn in tax since he acquired the business, including £591m in corporation tax. Announcing Arcadia’s annual results last month, Sir Philip said pre-tax profit had increased pre-tax profit before exceptional items from £133.1m to £166.9m in the year to August 25. Sir Philip also owns the BhS chain, which has struggled amid tough trading conditions on the high street. He has explored a sale of the chain in the past. Goldman Sachs, Sir Philip’s long-standing City adviser, is understood to have been working on the deal to sell a stake in Topshop for at least six months. 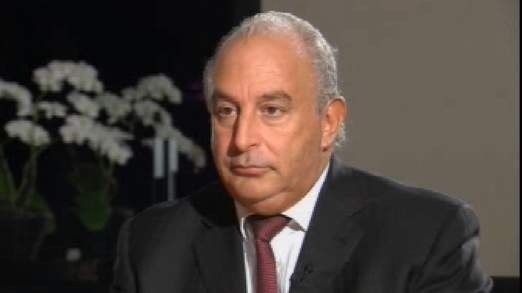 Sir Philip refused to comment on the talks to bring a new investor into Topshop and Topman on Tuesday night. LGP could not be reached for comment. Tesco is to launch a review of its loss-making US operations as its chief executive attempts to convince the City that he has a credible strategy to boost the fortunes of Britain’s biggest retailer. I have learned that Philip Clarke will announce tomorrow that Tesco is to undertake a strategic review that could lead to the sale or closure of some or all of its US stores. Investment bankers have been appointed to assist with the review, which is expected to take several months. The statement will signal an ignominious end to Tesco’s US ambitions, five years after it opened its first shop there under the Fresh & Easy brand name. It will also cast a pall over the legacy of Sir Terry Leahy, Mr Clarke’s long-serving predecessor, who stepped down last year. Under Sir Terry, Tesco embarked on a plan to emulate the global footprint of Wal-Mart, the owner of Asda, by acquiring and building market share in eastern Europe and Asia. Tesco operates approximately 200 Fresh & Easy stores, and employs roughly 5,000 people in the US. Since the business was launched, it has accumulated losses running into several hundred million pounds. Mr Clarke is already under pressure because of the group’s sluggish performance in its home market, and has unveiled a £1bn transformation programme focused on improving customer service and the availability of fresh produce in its shops. The news about the US review will come alongside Tesco’s third-quarter results, which are expected to reflect the ongoing travails of much of the British retail sector. George Osborne, the Chancellor, will undoubtedly be keen to see what Mr Clarke says about the health of the high street in the run-up to the crucial Christmas trading period as he makes final preparations for his Autumn Statement. While Tesco has been treading water under its new boss, rivals including J Sainsbury and Waitrose have been performing strongly. There was, however, a glimmer of good news for the biggest supermarket chain, with the Financial Times reporting tonight that industry data showed Tesco enjoying stronger-than-expected sales growth in recent weeks. Tesco declined to comment on Tuesday evening on its plans for Fresh & Easy. Tomorrow’s news about the US is likely to please the City, although seasoned Tesco-watchers have been anticipating the development since Mr Clarke said in October that he needed to be persuaded that the US arm had a future in the group. It is unclear whether there will be a serious appetite from third parties to buy the Fresh & Easy chain, which leaves open the prospect that Tesco may have to make significant lay-offs as part of its plans to exit the US market. Theoretically, its strategic review could involve Mr Clarke determining that Tesco should persist with its efforts to conquer the US, but analysts said that was highly unlikely. The news of Tesco’s decision to review its US business comes on the same day that it emerged that another British retailer has rather different expectations for its operations in the country. CLOTHING shops in Gloucestershire could be closed down if they fail to turn a profit, as a retail giant takes a hard line with its floundering stores. Monsoon and Accessorize has announced plans to close shops when they reach the end of their lease if they are not profitable. There are currently around 400 Monsoon and Accessorize stores across the UK, including Cheltenham and Gloucester. The lease at the Accessorize in Cheltenham’s Promenade expires in July 2014, while the lease at the Monsoon in High Street expires in October 2021. Gloucester’s Accessorize, in Eastgate Street, will see its lease come to an end in September 2017. 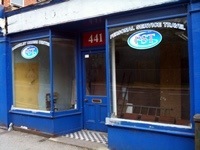 A company spokesman said the Gloucestershire branches are not in line for the chop as they are all profitable. Monsoon sells women’s clothes and shoes, while Accessorize sells accessories such as handbags and jewellery. Having been reported to have considered, but backed away from, bidding for rival online clothes retailer Asos, Amazon has instead launched a new fashion store to challenge the market-leader head-on. The online retailing giant has signed up a number of designer brands, including Pringle, Gant and Hudson. Amazon.co.uk managing director Christopher North told the Telegraph: “We are rapidly expanding our fashion offering with a raft of aspirational brands and on-trend products. The store is up and running in time for today’s so-called ‘Mega Monday’ pre-Christmas online shopping rush, which many retail experts have predicted will be the busiest ever online shopping day in the UK. CD&R has acquired a “significant stake” in B&M in a deal that values the retailer at around £965m. The sale establishes the Arora family as one of the wealthiest in the UK. 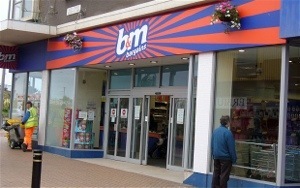 Simon, Bobby and Robin Arora bought B&M in 2005 when it was loss-making and had fewer than 20 stores. The Arora brothers will retain a stake in B&M and stay involved with the business, which is based in Liverpool. Sir Terry is an adviser to CD&R and his role as chairman is his first significant management position since stepping down as chief executive of Tesco in 2011. In a statement, the Arora brothers said: “We are delighted to have the opportunity to partner with CD&R. Ireland’s tallest building has effectively been repossessed, it has been confirmed. The 85m-high Obel Tower in Belfast was built at the height of the property boom but administrators have been called in because its owners owe the bank millions. An official notice on the Belfast Gazette web page — the government publication for details of insolvency and company law — said KPMG had been appointed after building contractors and construction companies Obel Ltd, Obel Offices Ltd and Donegall Quay Ltd which control the massive building, applied for insolvency. 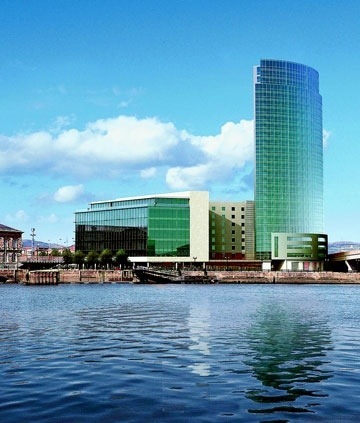 The 28-storey skyscraper was built at Donegall Quay in 2005 for £75 million (€90m). The plans initially included 180 luxury apartments, a hotel and prime office space along Belfast’s redeveloped waterfront. In 2007, some studio apartments went on the market for £90,000 (€110,000) while the penthouses had a price tag of around half a million pounds. Since its construction the Obel Tower has been the subject of some adverse publicity and was shortlisted as one the ugliest buildings in the UK. The economic downturn and subsequent property crash has also made it difficult to sell small studio apartments in a city where space is not at a premium. This has meant that although the six floor office block is occupied by top international legal firm Allen and Overy much of the rest of the giant complex is still empty.